Yep, trudging through the entirety of your home, auto, or life insurance policy is probably not exactly your idea of a good time. Big words, stuffy language, long sentences…oodles of fun, right? Oh, yeah. Insurance policies. Good stuff. As daunting as the task may seem, reading through your policy is actually very important when it comes to making sure that you have the coverage you need for your family. Your policy spells out the agreement between you (the insured) and your insurance company (the insurer) and explains who’s responsible for what if you’re faced with a catastrophe. Whether it’s your home insurance policy or your auto insurance policy, you need to make sure that you know what’s going on in that very important legal document. You never know when it’s going to come in handy. To help you out with that little bit of homework, we’ll take a piece-by-piece look at each section of your insurance policy so that you’re in the know when it comes to your insurance. No one wants to feel threatened or intimidated at the workplace. Work is supposed to be a safe place, and as an employer you want your employees to feel happy and excited about showing up every morning. And you want them to feel comfortable and hopefully trust the people around them. Sometimes, though, there’s behavior you might not see from some of your employees that makes others feel vulnerable or uneasy. Sexual harassment in the workplace is not something to be taken lightly. The negative effects that it has on a workplace are serious. That’s why it’s so important to know how to prevent bullying in the workplace and take steps to prevent harassment. We’ve got some tips to help you keep harassment out of your business. Riding a motorcycle is a lot different than driving a car. While cars aren’t without without their risks, motorcycles have an even more dangerous reputation. The motorcycles you see zooming by on the road might look cool, and yes, it might be more fun to ride a motorcycle than to be trapped inside a car. But the truth is that motorcycles are far more dangerous than cars, which is why you need motorcycle insurance. If you’re a motorcyclist or if you’re thinking about buying your dream bike, you need to make sure that you have adequate coverage for all the risks that come with hitting the road with two wheels instead of four. We’ll go over the types of coverage you need for that shiny new bike. We’ll also give you some tips on how to save on your motorcycle insurance and how to stay safe on the roads. When I look back on the insurance industry, I can’t help but notice how fast things are changing. Today’s insurance world isn’t the same as it was even fifteen years ago, and I think it’s those changes and my observations over the years that have inspired me to share my thoughts on our blog (that and my marketing director said I should.) I’ve been in the insurance and small business world for a long time – just don’t ask me how long! My business, InsuranceHub, has been on quite the journey since we’ve started, and to kick off this new section of our blog I thought I’d reflect on how we got to where we are. Flash floods, like the name implies, happen very quickly and with little warning. Usually the summer months have the highest risk of flash flooding because they happen when areas prone to flooding get a lot of rain in a short period of time – like during a summer rainstorm. Summer storms can turn into deluges that make it hard to see your hand in front of your face. 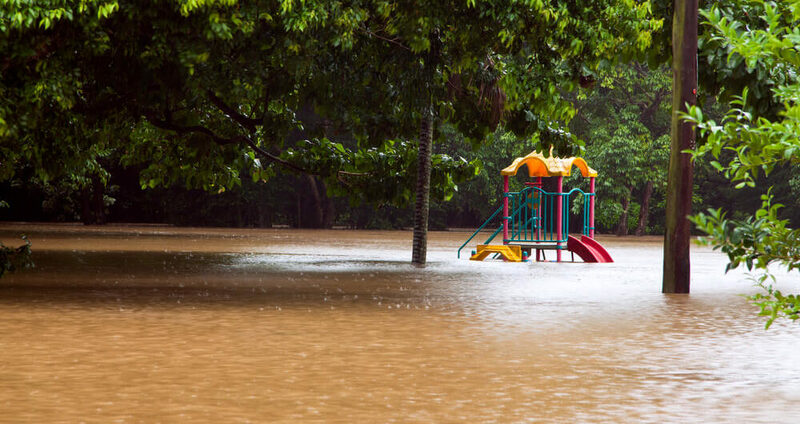 Since summer storms can create conditions that are ideal for flash floods, we’ve got some summer severe weather tips so that you can stay safe when the sky opens up and dumps buckets of rain, cats, and dogs upon you. As an employer, one of your worst nightmares might be one of your employees getting hurt on the job. Your employees have families to support. If they’re injured, they’re out of work for as long as it takes them to heal. They might have a bit of a chip on their shoulder towards your company, too, if they got hurt while doing work to benefit your business. Workers’ compensation insurance claims and employee injuries are also very costly. Getting the employee back to good health is, of course, the priority, but the costs of doing so can be very high for your business. However, there’s a way that you can help your employees and your business if someone gets hurt while working. You can create a return to work program. It’s finally happened. Your teenager got their driver’s license, and they’re ready to roll. They’ve been waiting for this moment for years, and they’re ready to ditch you and cruise off into the world. They’re excited. You’re worried. It’s hard to think about your little one getting behind the wheel of a car, especially without you riding shotgun to shout “Stop!” and “Slow down!” at periodic intervals. Whether your teen has their license or is about to get it, it’s your job to protect them and keep them safe. That’s what you’ve been doing since they were a baby, right? Maybe they don’t fit neatly in your arms like they used to, but they’re still your little one, and your priority is still their wellbeing. There are a few things that you can do as their parent to keep your teen safe when they hit the road (other than making sure your teen is properly insured.) We’ll give you seven tips. Connected. That seems to be the magic word these days. Social media has come crashing into society, and its effects have been far-reaching. Businesses feel the pressure to go digital and create social media accounts. And social networks can be very beneficial for small businesses – it allows you to connect with others who are involved in your industry, reach out to clients, and even stumble into potential job candidates. But along with all of the benefits of social media, there are risks. Knew there had to be a catch somewhere! The risks, though, are manageable, and we’ve got a few tips to help your business stay savvy with its social media. Have you been living in dread of your teenager’s sixteenth birthday? It’s a much-anticipated or much-feared day, depending on whether you’re the teenager or the parent. Many teens await their sixteenth birthdays with anticipation, looking forward to hitting the road. That driver’s license is a rite of passage. But when your teen driver gets that license, there’s something else they’re going to need (well, apart from a car). And that’s car insurance. You might have heard that insurance rates are often higher for teens. That’s because teens often like to toe the line of risky behavior and they have little experience driving, which makes teaching your teen to be a safe driver – and insurance – even more important. We’ll tell you what you need to know about insuring a teen driver so that you can get them the coverage they need – without breaking the bank.